I haven't posted any personal pics here in a while! Or since I started the new website. Confession time: frequent blogging is not my strong suit. Moving on. 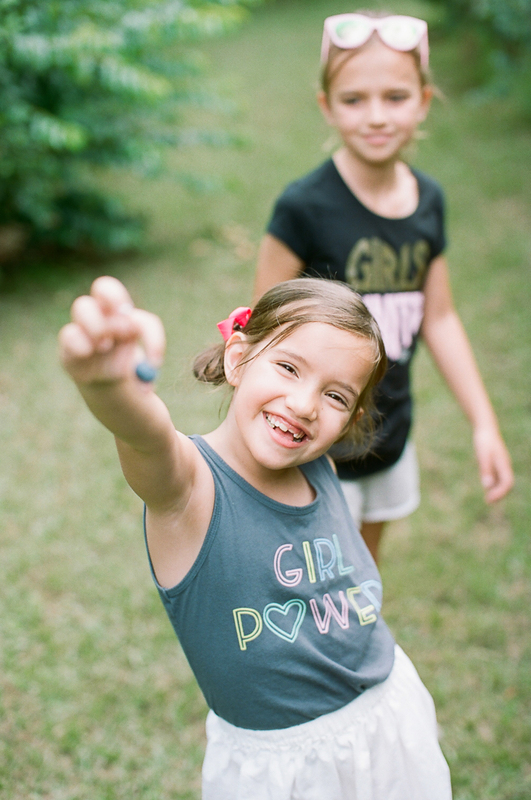 My girls and I got the chance to go blueberry picking a few weeks back at Cooper Farms & Vineyard in Morton. Let me tell y'all that this place is magical. They grow all sorts of different varieties of fruit and vegetables including (I believe?) the largest muscadine vineyard in the state. (Catch them at the Mississippi Farmer's Market most days). I have done client mini sessions here two years prior, but it didn't work out with my schedule this year. 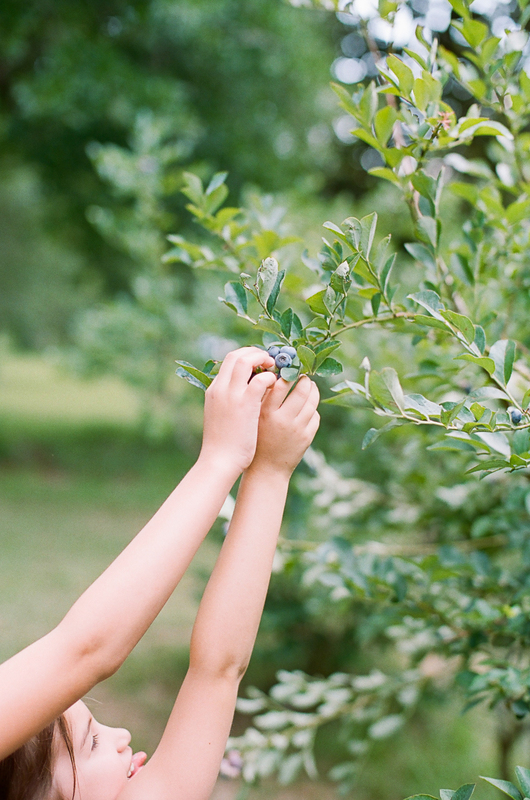 So I decided if nothing else, I would FINALLY take my own children blueberry picking. We loved our time there. My oldest decided she did, in fact, like the taste of blueberry since they were "much tastier" than the grocery store. Ms. June, one of the owners, let us pet her puppies and bunnies, and their chickens snacked on the blueberries we dropped from a distance. Of course, I could not convince my children-who-think-they-are-teenagers to dress cute, but I decided the embrace the girl power tees and mis-matched bow buns. They dress themselves crazy and I want to remember it. I think. As with all of my personal photos now, this was shot on film (For the photo nerds: Canon 1v, Kodak Color Plus 200, developed by Richard Photo Lab). 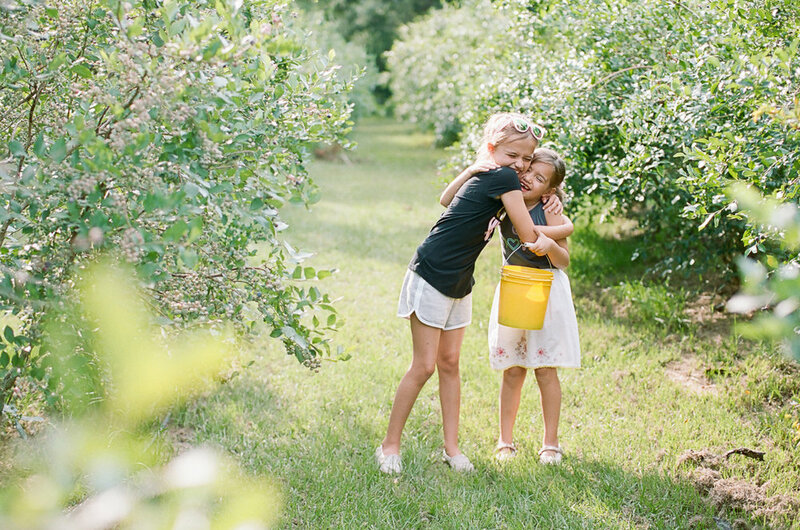 So...should I bring back the family mini sessions here next summer? 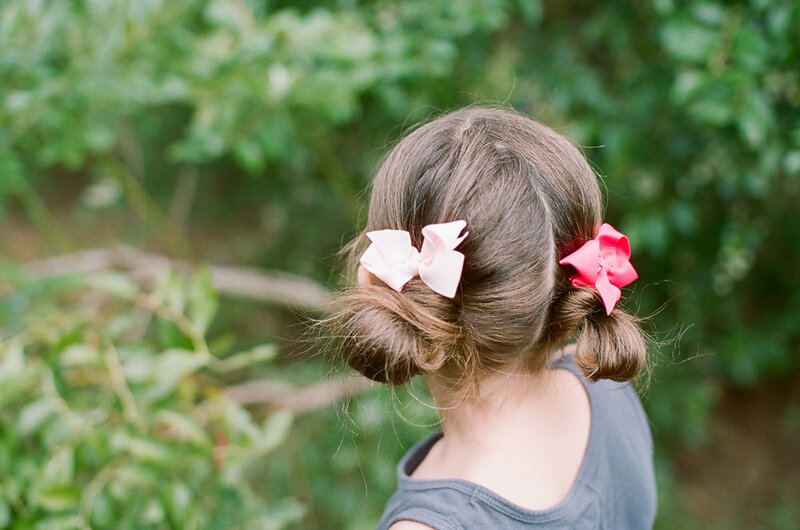 Film goodness, let your kids dress themselves, no pressure type of photos? If so, holler at me. And I may try to share some more of our summer adventures, because everybody knows summer is the best.